If you are suffering from neck pain or back pain after a car accident, you may be experiencing sustained spinal injury or a whiplash injury. Without proper care, these injuries can have a serious impact on your health, which can lead to years of chronic pain. Some whiplash symptoms include: neck and back pain, headaches, shoulder pain, fatigue,weakness, sleep disturbances, and dizziness. 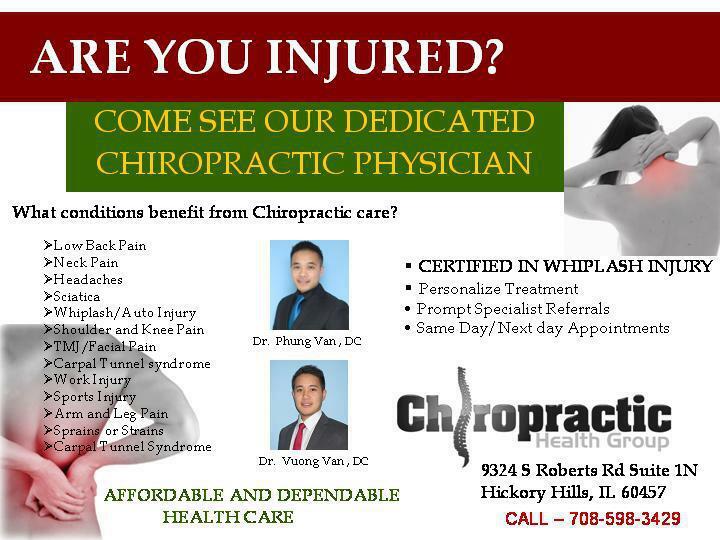 If you have recently been in a car accident, contact our chiropractors as soon as possible. Acute and chronic pain both benefit from prompt treatment.